Results from the widest ranging European survey of human toxic contamination show that 76 persistent, bio-accumulative, and toxic industrial chemicals were present in the blood of those tested. 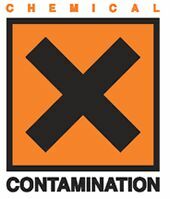 Brussels, Belgium – Results from the widest ranging European survey of human toxic contamination show that 76 persistent, bio-accumulative, and toxic industrial chemicals were present in the blood of those tested. 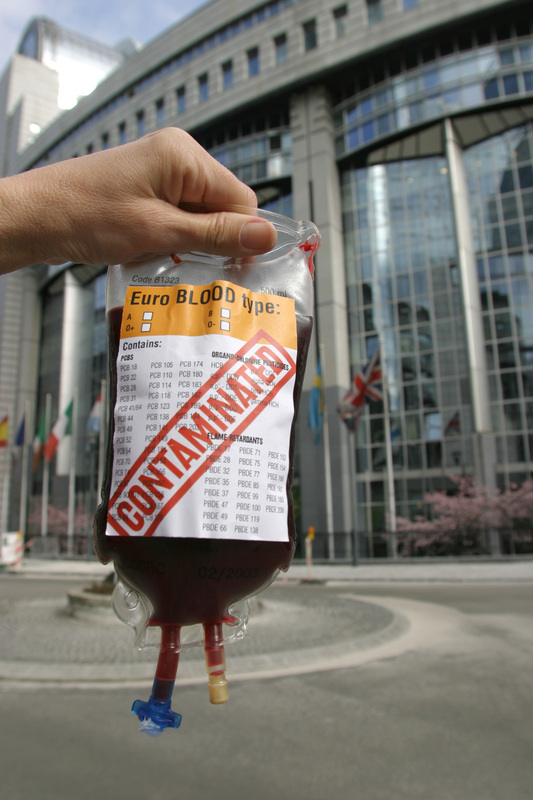 WWF and The Co-operative Bank took and analyzed the blood of 47 people from all over Europe. These included 39 Members of the European Parliament (MEPs), 4 Observers from accession countries, 1 former MEP, and 3 WWF staff, representing 17 countries in Europe. The results were released today. The blood test took place in December 2003, and blood samples were analyzed for an unprecedented 101 chemicals from five groups: organochlorine pesticides including DDT; PCBs; brominated flame retardants; phthalates; and perfluorinated compounds (PFOS). The results reveal that every person is contaminated with a cocktail of persistent, bio-accumulative and toxic chemicals — including chemicals from each of the 5 groups of chemicals tested for. A total of 76 different chemicals from the 101 looked for were found in the blood of those tested. "The number, types and concentrations of chemicals found in this survey are unacceptable," said Karl Wagner, Director of WWF DetoX Campaign. "Continuing exposure to a cocktail of toxic chemicals cannot be considered safe. The best way to protect people — and future generations of wildlife and people — from this insidious threat is for the EU to adopt a strengthened version of the proposed REACH law to identify and phase out the most harmful chemicals." The results further show that the highest number of chemicals in one person was 54, while the median number of chemicals detected was 41. At least 13 of the same chemicals were found in every single person tested, including chemicals banned in Europe over 20 years ago as well as chemicals in widespread use today such as phthalates and perfluorinated compounds. Furthermore, the flame retardant HBCD was detected in one person. According to WWF, this is the first time such a chemical has ever been found in human blood. Another flame retardant, deca BDE, was found at the highest level ever seen in a European study. It was found at higher concentrations than two other flame retardants that were recently banned in the EU partly because of their widespread and increasing concentrations in humans and wildlife. "The results of these tests show that everyone tested is contaminated with a variety of industrial chemicals, including pesticides outlawed many years ago and chemicals still in use today, no matter where they live," said Sheila Macdonald, Chief Operating Officer, The Co-operative Bank. "And, as yet, we don't know what effect they're having on our own bodies, our children or wildlife". Protest outside the European Parliament about the contamination of blood with toxic chemicals.